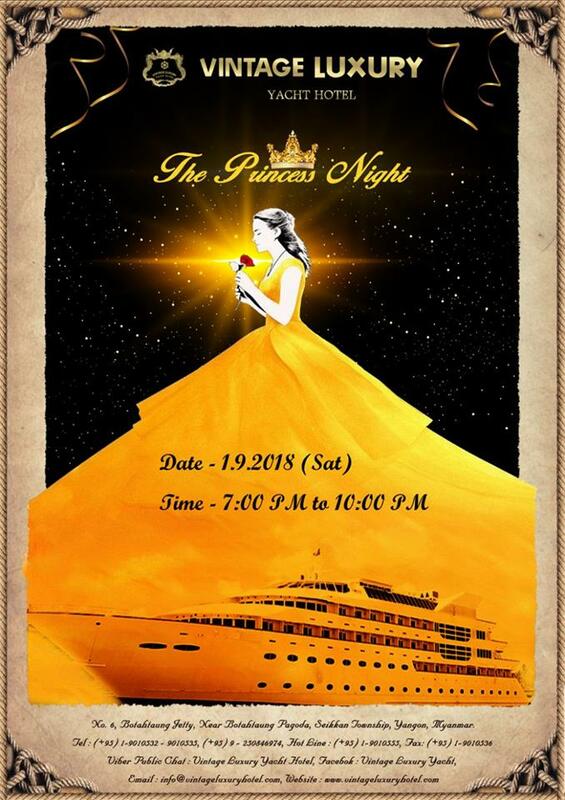 Home » Travel » “The Princess Night”is going to arrange by Vintage Luxury Yacht Hotel on September 1st at 7PM. “The Princess Night”is going to arrange by Vintage Luxury Yacht Hotel on September 1st at 7PM. the ” Beauty and the beast”.Book your seats at a price of 20,000mmk before its sold out.Because we have 20 limited seats.Prior Booking may available.For booking tickets please contact:(+95) 1-9010532-35, (+95) 1-9010555, (+95) 9-250846974. Vintage Luxury Yacht Hotel's invited to get involved in the Special Movie Night on 15th of September.